Seane Corn is an internationally celebrated yoga teacher known for her impassioned activism, unique self-expression, and inspirational style of teaching. Featured in magazines, TV, radio, and Oprah.com, Seane now utilizes her fierce commitment to action and her massive platform to bring awareness to global humanitarian issues. Since 2007, she has been training leaders of activism through her co-founded organization Off the Mat, Into the World®. Seane has spent time in the US, India, Cambodia, Haiti, and Africa working with communities in need- teaching yoga, providing support for child labor and educating people about HIV/AIDS prevention. 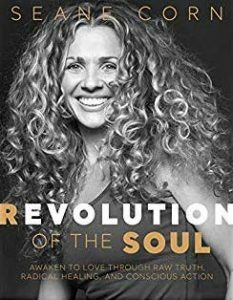 Her forthcoming book, Revolution of the Soul, will be published in September 2019. And, this week, we’re diving deep into her personal journey, early-childhood trauma and struggle with OCD, awakening to her own sense of power and agency, discovering yoga and a global community of teachers, practitioners and heart-led activists and so much more. Capterra: Software solutions for your business. Visit Capterra.com/GOODLIFE to find the right tools to make 2019 the year for your business.